As NewsBusters has been reporting for many months, one of the key elements to the advancement of global warming hysteria is money, in particular, taking it from those that have to give to those that don't. Of course, during this time, the media have been less than forthcoming concerning this inconvenient truth. A fine example of where all this alarm is heading was surprisingly reported by the Associated Press Tuesday. Floods, droughts and other climate disasters will rob millions of children of the decent meals and schools they need unless rich nations pony up $86 billion by 2015 to help the poor adapt to global warming, an expert panel warned Tuesday. The U.S. government needs to cover $40 billion of that spending, which will "strengthen the capacity of vulnerable people" to cope with climate-related risks, according to the report commissioned by the U.N. Development Program. Bear in mind that this is coming from the same agency which just last week announced it had exaggerated for more than ten years estimates of the AIDS epidemic, and possesses a history of financial malfeasance pertaining to the Iraq Oil-for-Food scandal as well as its famed UNICEF program. 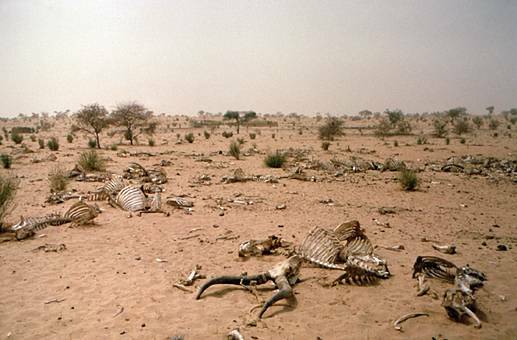 Olav Kjorven, head of the U.N. Development Program's bureau for development policy, called the financial aid a sort of "climate-proofing" for the poor that is only natural "when we know that the frequency of droughts and floods is going up." Because of global warming, he said, 600 million people more in sub-Saharan Africa will go hungry from collapsing agriculture, an extra 400 million people will be exposed to malaria and other diseases and an added 200 million will be flooded out of their homes. The development panel says the greatest financial responsibility lies with the U.S. and other rich nations most responsible for the accumulating carbon dioxide and other heat-trapping gases in the atmosphere, mainly from man's burning of coal, oil and other fossil fuels. "The countries of the world that are the principal culprits, if you wish, for creating this problem in the first place need to act strongly to safeguard the future of those that have done nothing to cause this problem but are the most vulnerable," Kjorven said. Adding it all up, the U.N. is coming after your wallets, and doing so with inflammatory hyperbole completely unchecked by today's media. Given what was just revealed about this organization seven days ago, how could any article referring to U.N. projections about anything completely avoid last week's announcement? At the very least, someone with a contrary view of these dire prognostications should have been quoted. Anything less is advocacy NOT journalism.